A New Year means a whole new opportunity to make your commercial office space feel the way you want it to. If you’ve spent the past year working hard, it’s time to reward yourself by making some changes and upgrades to your office environment. Making a few simple fixes can make a day at the office feel anything but old and generic. There are a whole lot of easy ways to brighten up your space without breaking your budget! 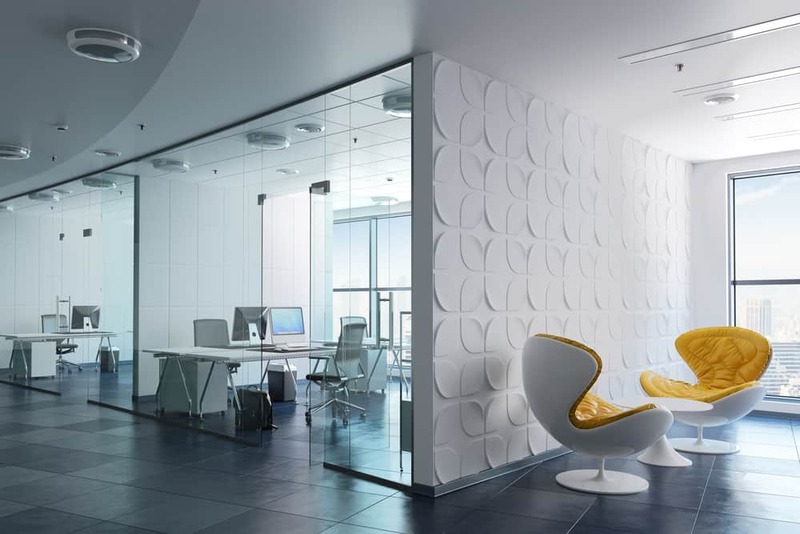 The quickest way to bring in a fresh flow of energy to your commercial office space is to give it a facelift with a new coat of paint. Whether you hire a contractor or do it yourself, it’s a relatively inexpensive way to drastically change the feel of your office environment. Instead of dark, heavy colors that make your office feel small, dense and poorly lit, opt for lighter shades in calming, neutral colors like grey, beige, or blue. These hues will brighten up every room within your space, making it a much more comfortable place to spend the majority of your day. The New Year may also call for a big office furniture shuffle! If you’ve noticed that the past year hasn’t encouraged the greatest work output from your employees, chances are that the way your office is set up isn’t lending itself to efficiency. While office models of the past focused on separating employees through partitions and individual offices, the new office space model is seeing the benefit of shared spaces. Providing group meeting rooms, shared workspaces, and open seating areas for your employees helps to encourage collaboration throughout the entire office. More minds working together naturally means bigger and better outcomes and ideas for your company! So don’t wait any longer to jump on board! 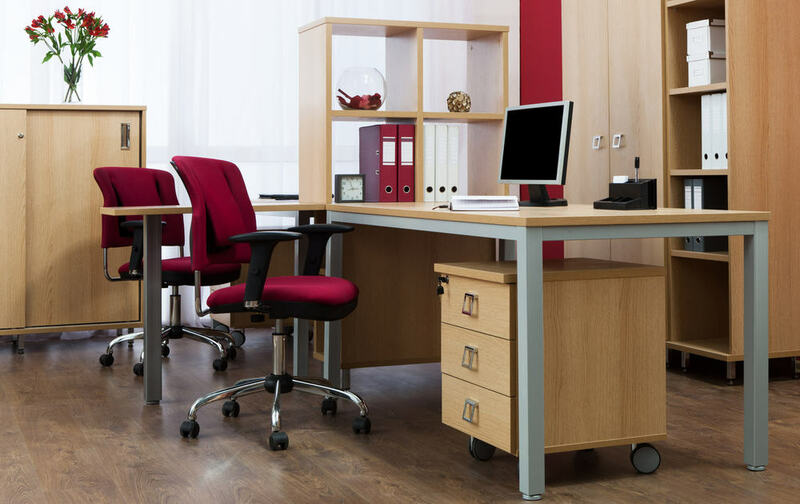 Take a look around your commercial office space today and see how a little rearranging could go a long way! Your commercial office space can become an eyesore pretty quickly if everything doesn’t have its own place. This year, take some time to clear your office of any unnecessary clutter and watch how it transforms before your eyes! Insist that your employees clean their desks, create a designated area in each work station for personal effects such as family photos, and work together as a team to clean out shared office spaces such as break or mail rooms. Shred old paperwork, set aside some time to have your employees clean out their inboxes, and replace torn or tacky posters with complimentary wall art. Now is the time to get a deep cleaning for your commercial office space. While routine weekly cleaning is helpful and encouraged, every once in a while you need to call in the big guns to do some of the heavy lifting for you! A professional commercial cleaning company will be able to do the basics, such as dusting, vacuuming and cleaning the restrooms, but will also have the means to go a few steps further. How long have your office rugs been there? A professional cleaning crew will be able to get out odors and stains! How many people have sat on the chairs and sofas in your waiting area? A professional cleaning crew can clean your upholstery as well! 2019 is a perfect time to update the lighting within your commercial office space as well. Replace overhead, neon bulbs with bulbs that more closely mimic natural sunlight. Bring in some floor lamps with soft lighting to add a bit of ambience to waiting areas and offices. Capitalize off of natural lighting whenever possible by opening curtains and keeping your windows cleaned! A little bit of light can make a big impact on the morale of your entire staff. Lastly, take some time to invest in some greenery for your commercial office space. Buy hanging plants, fresh flowers, or potted plants that don’t need lots of sunlight. Keep them watered and well-kept and your office will feel like a much happier place to be. Looking for Commercial Office Space in Hattiesburg or the Surrounding Areas? If sprucing up your commercial office space still won’t do the trick, perhaps it’s time to consider an upgrade! If you’re ready to find the perfect space for your office, the crew at SVN | Southgate Realty, LLC is here to help you do it! We work diligently to make the commercial real estate transaction process simple and easy to understand from start to finish for our clients. Check out some of our available office properties today and reach out to one of our team members to schedule some showings!